Our always free, informational whitepapers offer helpful advice and professional tips in online marketing and web development fields; available for download. 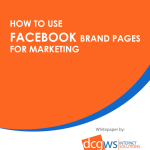 This whitepaper will provide a compelling reason for marketing your brand with Facebook. 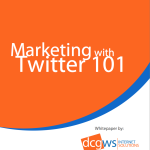 This whitepaper will provide an starting point for marketing your company with Twitter.